It's been a rough winter and early spring for many of us. Here in the NC mountains, we didn't have much snow, but the chilly, depressing rain has felt endless. Spring is pushing through anyway, with abundant flowers, new growth and baby critters. And today, it's lovely. Bring on the sunshine! 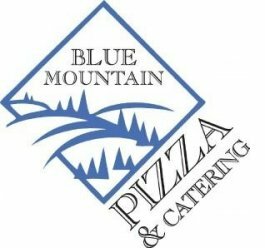 Blue Mountain Pizza & Little Pearls in May! Blue Mountain Pizza in beautiful downtown Weaverville is supporting Little Pearls for the third year in a row, and you can, too! The big day is Third Thursday, May 16, when BMP donates 10% of the whole day's proceeds. And all month, any money you put in the donation jar will be matched by BMP, up to $500. Enjoy their great food, including yummy new menu items, and support Little Pearls at the same time. Thank you, Matt Danford, for your generosity and compassion. You do a lot of good in the world while making people's tummies happy! 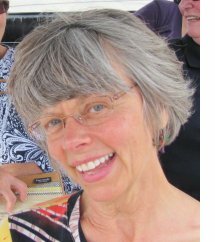 Just in time for Mother's Day, here is an oldie-goldie Pearl with new audio: Everything is a Miracle. The new audio from 2011 is by the ever-talented Daniel Barber ~ check him out, too. 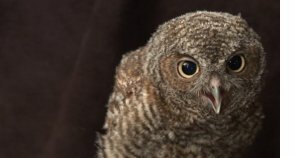 And another timely one for the baby animals of Spring is Wild and Free: a Screech Owl Named Pinkey. Pinkey's Pearl has almost 5,000 views ~ help us surpass that milestone! This Pearl and related mini-documentary have multiple pages on our website, starting here. and one of our sweetest Dog Stars, Chai. We filmed several good dogs who are not yet in a Dog Pearl, and Chai was one of them. She was an intuitive little healer who shared her love so gently. All my energy is going into the grief process, working through a mountain of tasks and creating this strange new world without Jim. 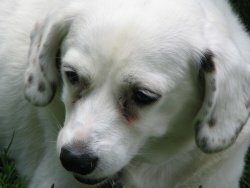 I've always had great support of family and friends ~ and the five dogs and cats who share my life. In the last couple months, I've spent really good time with my siblings and long-term friends. Slowly, I can feel a change in my ability to laugh, relax and have fun ~ life does go on, even in the midst of sadness. Watch Little Pearls on YouTube. One day, about a month after Jim died, I put up a link on Facebook to a Little Pearl and didn't stop it from playing forward, so the "All Pearls" playlist kept running. Just watching those Pearls made me feel so much better. You might want to try it sometime, especially if you are feeling down, need some inspiration or want a reminder of what truly matters. Check out our Pearl Dreams ~ there WILL be new Pearls! And if you live in the Asheville area, get to Blue Mountain!